This Mind Map diagram template is created to present a thinking process which does not consist of multiple options and possibilities, but instead - just one. It starts with the main idea in the white circle and continues following the additional components. 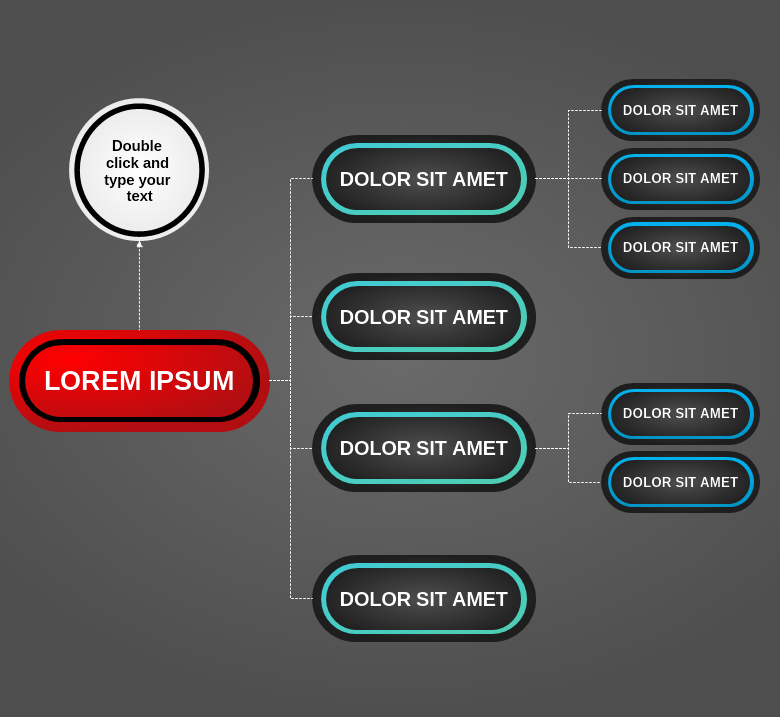 The template can be easily editted by dragging the boxes to rearrange them, or by copy-pasting specific ones and adding them as new parts of the diagram.